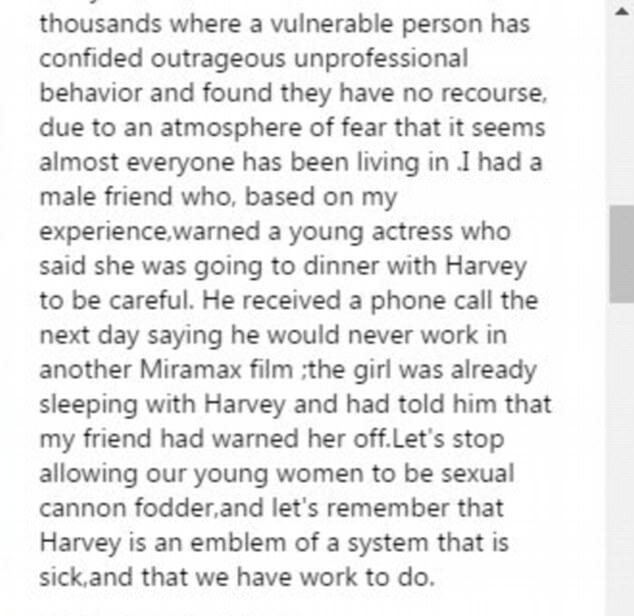 The list of Harvey Weinstein’s victim’s just keeps getting longer as British actress? 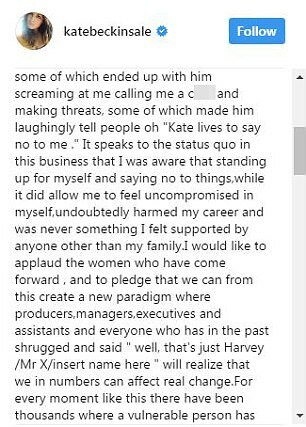 Kate Beckinsale, revealed in an Instagram post on Thursday that the movie mogul came onto her when she was just 17-year-old . 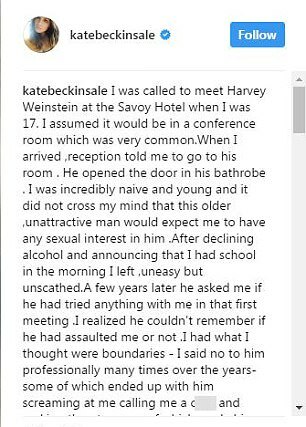 Beckinsale says Weinstein tried to assault her during a hotel room meeting early on in her career.